Makeup has always been an essential part of our lives, and it has always represented a significant symbol for many women, which is empowerment. Makeup nowadays, however, still carries the same symbolism, but has also become a political and cultural statement. Women around the world are experiencing a massive influx of products that are intended to be inclusive and for women of different skin types, skin colors and undertones. With this single move, makeup brands have been shaking the world by stating that every single woman, or man, is welcome to the world of makeup, and is welcome to express themselves and their beauty fully. Of course, with the rise of inclusive makeup came the growth of different makeup brands, several of them now owned by women of color. Even such a happening is a huge deal in the world of makeup which has been dominated by the same people for over 50 years; the existing makeup brands, which are usually not owned by women of color, had a certain neglect towards different skin tones that are not just white or just dark; those in between usually suffered due to lack of color and shade range when it comes to foundation, concealers, powders, and other makeup products. However, the makeup game is finally welcoming some new players; therefore, we are going to look into the most influential brands created by the women of color. Let’s start with the queen of R&B herself, Robyn Fenty, aka Rihanna. When she announced that her make up brand is launching in 2017, the world wasn’t ready for what was coming; people didn’t know whether Rihanna’s make up is going to be a massive success or a complete flop. However, knowing that Rihanna is always serious about her work, whether business or music, everyone was surely expecting something utterly new and unique in the world of makeup. 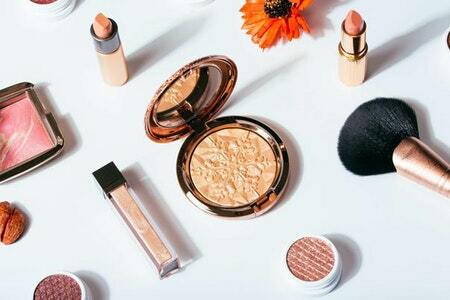 In just a matter of a few weeks after launching, Fenty Beauty has become one of the most popular makeup brands in the world. However, it wasn’t Rihanna’s successful music career and famous name that got everyone to love her makeup. It was the decision Rihanna made to produce inclusive makeup, including all of the skin tones in cosmetic offerings, and including even more extensive shade palette for people with deeper skin tones. What Rihanna has done with her makeup was revolutionary, and has definitely set the standard for other major makeup brands. Diversity and inclusiveness have become the representative idea of Fenty Beauty that everyone simply got to love. Not to mention, Rihanna’s make up is vegan and cruelty-free. Kudos! Before Fenty Beauty, there was a makeup brand and a woman of color behind it that has set the standard for the future of makeup. In 1994, the legendary supermodel Iman, also known as the wife of David Bowie, has founded her own makeup company intended for the women with skin of color. The brand Iman Cosmetics was the first makeup brand in the world to provide makeup and skincare collections designed for women of basically all skin colors, types and tones. Iman delivered when it comes to her makeup and its quality, and has been doing so ever since 1994, up to this very day. Iman Cosmetics had been especially famous for the complexion products, with shade-inclusive options in liquid, powder and stick variations. Because Iman has recognized the desperate need of makeup for ethnic women of color, her make up brand even included unique shade range for the deepest of skin tones in every makeup line ever since 1994. Need I mention that IMAN Cosmetics was one of the first makeup brands to promote cruelty-free make up as well. One of the most recognized and well known South American make up brand was founded by Gabriela Hernandez and is called Besame Cosmetics (Besame means ‘Kiss Me’ in Spanish). Gabriela Hernandez is a famous Argentinian color connoisseur, and her make up line is inspired by the cosmetics women used in the 1920s and 1930s, according to Her Campus. As she observed her grandmother’s make up routine from a young age, Gabriela has found inspiration in the simpler times of the early 1900s. She decided to take this idea of an old-fashioned beauty regimen and build her make up brand upon it. Of course, the classic makeup of the early 1900s couldn’t go without a classy red lipstick and radiant face powders, which have been the face of Besame Cosmetics for a long time. Hernandez has also managed to create different shades of red lipsticks and face powders that would fit women of different skin types and colors. Being a woman of color herself, Hernandez has recognized the need to create makeup products that would flatter her and other skin tones, mainly because the fashion and makeup style of the early 1900s has become increasingly popular with from around the world. Besame Cosmetics is also a cruelty-free makeup brand. Hanahana Beauty is one of those skincare products that operate covertly. This makeup brand is known to produce amazing products for women of color, and is usually identified by the makeup lovers, but not by the wider public. This, however, hasn’t been a problem for the founder and visionary behind Hanahana Beauty, Abena Boamah-Acheampong. Her mission to bring handcrafted, 100% natural products to women of color around the world has been empowering and incredible to all of them. According to Design Sponge, Hanahana Beauty is now working on projects that will provide women of color with the ability to share their stories and experiences. Not only is Hanahana’s fonder extremely passionate about providing high-quality makeup and skincare, but as we can see, she is focused on empowering women of color not just by offering beauty products, but also mental health care. Hanahana Beauty products are organic, cruelty-free, accessible, transparent and sustainable in every aspect. Love the way this post was written and want to create better content? Make sure to visit Edusson if you need online writing services.